The International Chamber of Commerce Sri Lanka welcomed the quick initiative taken by the Government to regain GSP Plus as it would pave way for duty free access to the EU market on a whole range of products. It was in December 2009 that the European Union decided to withdraw temporarily the GSP Plus benefits to Sri Lanka. This decision was based on the findings of the Commission of Investigations launched in October 2008 and completed in October 2009. In view of the report, no satisfactory progress was shown by Sri Lanka in the implementation of the three UN human rights conventions such as Civil and Political Rights, Convention against Torture and Rights of the Children which were related to grant of benefits of GSP Plus. 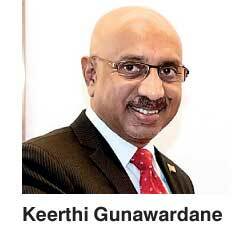 International Chamber of Commerce Sri Lanka Chairman Keerthi Gunawardane said that the present government has immediately continued a dialogue with the European Union in a positive manner to restore GSP Plus. “The International Chamber of Commerce Sri Lanka appreciates the efforts of the government to restore the GSP Plus. This can have lot of positive effects to the Sri Lankan economy. In addition to the possibility of developing business within the EU the existing businesses can improve the competitiveness and the profitability,” he added. “Unfortunately, there was no significant interest displayed by Sri Lanka since 2010. This slow process caused a heavy damage mainly to the export trade with the closure of many small and medium size garment factories amounting to a loss over $ 750 million of exports,” he noted. In 2005 the EU introduced special incentive arrangements under the EU GSP scheme called GSP Plus and the special feature of this scheme is all the eligible products under this new scheme could be exported by selected beneficiary countries to European Union totally import duty zero or duty free. Developing countries and least developed countries recognised as beneficiary countries are offered preferential tariff reductions for their export products to developed countries under GSP System. It is a removal of partial or entire tariff charges for goods exported by beneficiary countries. Beneficiary countries are bound to be adhered to certain international labour regulations and manufacture the products to compete with international standard together with certain percentage of value addition accepted by offer countries.